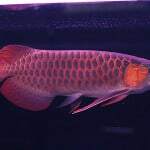 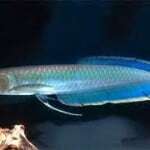 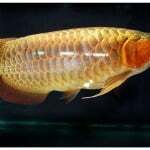 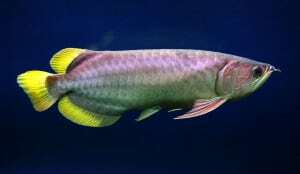 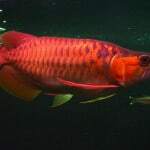 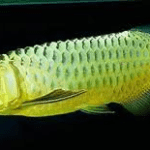 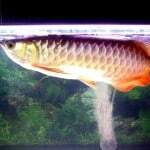 Banjar Red Arowana is marked with a rounder head and yellowish green scales. 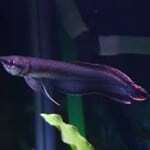 Its pectoral fin looks pale. 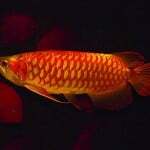 Hobbyists usually name her as Grade 2 Red or 1.5 Red.